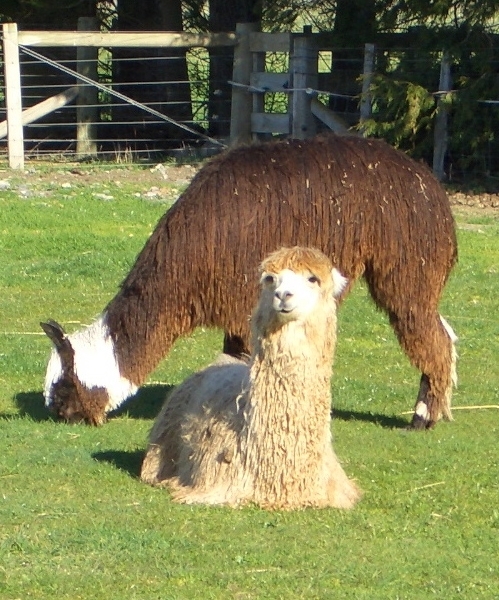 Alpacas are considered by many experts to be the oldest domesticated livestock in existence. The animal originated in South America, primarily in the Andes in Peru, Ecuador, Chile and Bolivia. 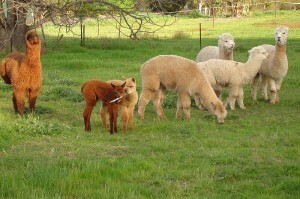 As you can see in the picture alpacas look very similar to llamas, but they were not bred to bear burdens. For thousands of years, they’ve been bred exclusively for their coats. So, what makes the alpaca, and its crazy looking coat, so eco-friendly? Alpaca fiber does not contain the allergen lanolin like sheep fiber does. Sheep fiber (aka: wool) must be washed with harsh chemicals to get off the lanolin. This leads to watershed pollution when those chemicals and detergents go down the drain. Because alpaca doesn’t contain this allergen, no harsh washing is needed. Alpacas are also mainly raised on small, sustainable farms in the Andes, as well as here in the United States. When you purchase alpaca products, you’re helping support small family farms. Alpacas have very unique, flat front teeth. This means they “cut” the grass. What’s so great about that? Well, sheep and cows often pull up the grass as they eat, consuming the root as well as the stalk. This contributes to over-grazing and decimated pastureland. 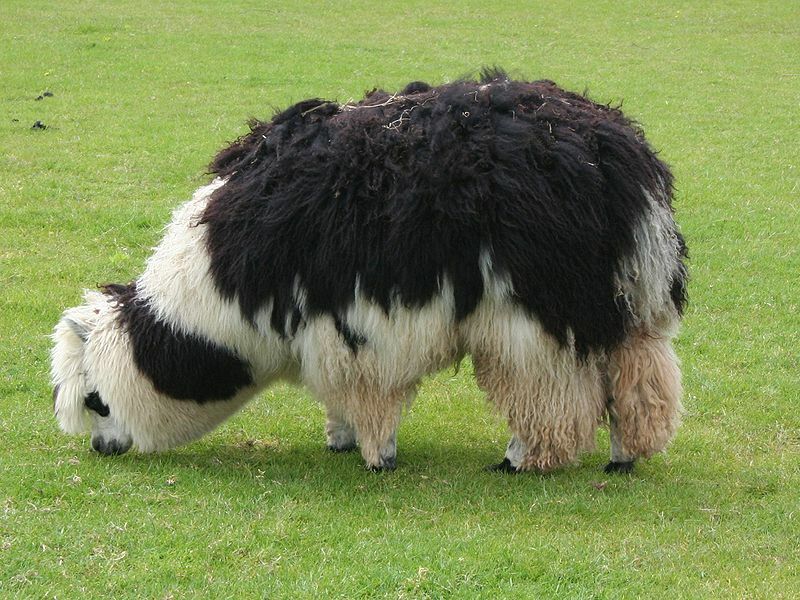 Alpacas are just like a mower…they eat the grass down but leave it safely intact so it can keep growing. They also metabolize their food much more efficiently than sheep do. And their manure (called “PacaPOO” by alpaca lovers) makes for wonderful, low-odor fertilizer. Alpacas also have a two-toed foot (not a hoof). Their soft feet cause much less damage to the soil than hoofed lifestock. If you’ve never had the opportunity to feel alpaca fiber, then you should try to find some. It’s truly luxurious and, the softness is like touching a cloud. In my opinion the fiber is incredibly superior to wool, and the fact that alpaca is also so eco-friendly is a huge bonus. And besides, they’re so darn cute! I wish I could have one in my backyard. Nice post. Thank you for information ! Please keep posting. We’re women. Our choices are never easy. I have spent a bit of time going through your posts, more than I should have but I must say, http://mystreet.ru/blog_entry.php?user=claudette&blogentry_id=12594, many Thanks….